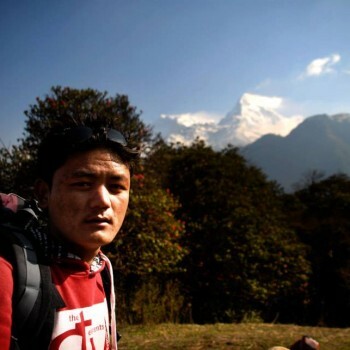 Raju is a very strong Energetic and young trekking guide. He is friendly, sociable and helpful. He has done a lot of extremely high altitude trekking in the Nepalese Himalayas. This is one of the most famous and common trekking route. We will take a local bus so that the trip will be cost effective. Nevertheless, you can hire private vehicle for your travelling ease. You will be enjoying walking in the jungle viewing various types of flora and fauna of the National park. This is the easier trekking route. The way is just gradual up in average.